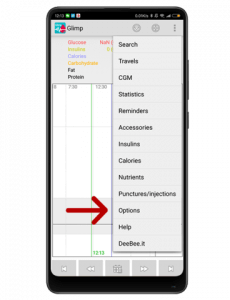 How to use MiaoMiao Reader with Glimp for your FreeStyle Libre Sensor? Home / HOW TO USE MIAOMIAO READER WITH GLIMP? HOW TO USE MIAOMIAO READER WITH GLIMP? Before starting this tutorial, make sure you have worn MiaoMiao. First, download Glimp for android phone in Google Play Store. Click the button below and then follow the notices to install Glimp for Android phone. 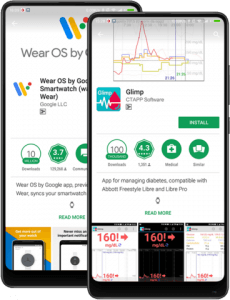 Download WearOS in Google Play Store and install it on your android phone. 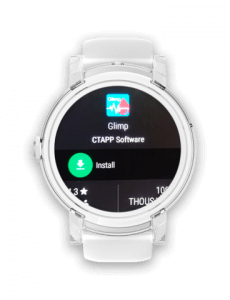 This is for you use android wear watch with Glimp. If you don’t have a watch, please ignore this step. If you don’t have an android wear watch, please ignore this step. On your watch, please open Google Play Store and find Glimp then install it. Select watch face for Glimp. 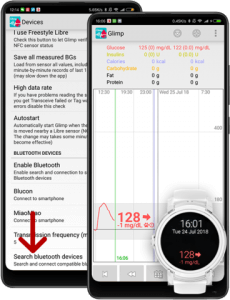 If you have done above successfully and Glimp on your phone has received BG data from Miaomiao, you will see BG data on your watch face. 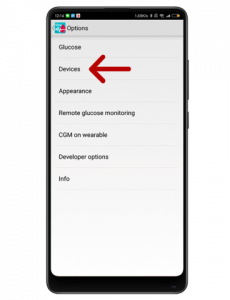 Before the below steps, please make sure that you have placed Miaomiao on your Libre sensor correctly, you have turned on the Bluetooth and you only have one Miaomiao around of you. 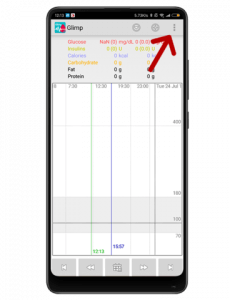 If you have an android watch and have done the steps above, you will see BG data on your watch face. If you want to know more about info about Glimp, please join in their Facebook Group.